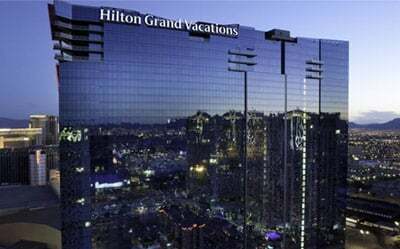 Revel in the thrills of Las Vegas from the magnificent grandeur of Hilton Grand Vacations' flagship vacation ownership resort. 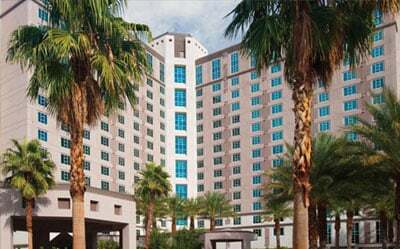 Superbly situated within the 15-acre Flamingo property, this resort is just steps away from the spectacle of sights and sounds that can only be found on the Las Vegas Strip. 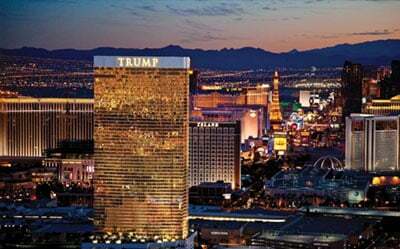 The venues are vast and vibrant and offer non-stop action at world-famous casinos, live entertainment and star-studded shows, and an electrifying array of restaurants and shops. The resort's sprawling swimming pools and serene setting provide a relaxing haven amid the excitement and exuberance of the adventures beyond. Spacious studios and 1- and 2-bedroom suites, Each studio 1 and 2-bedroom suite features master bath with oversized tub, Each suite features fully equipped kitchen, washer and dryer, Internet access.